I’ve just finished reading the autobiography of Tirzah Garwood, artist and designer, wife of the artist Eric Ravilious. 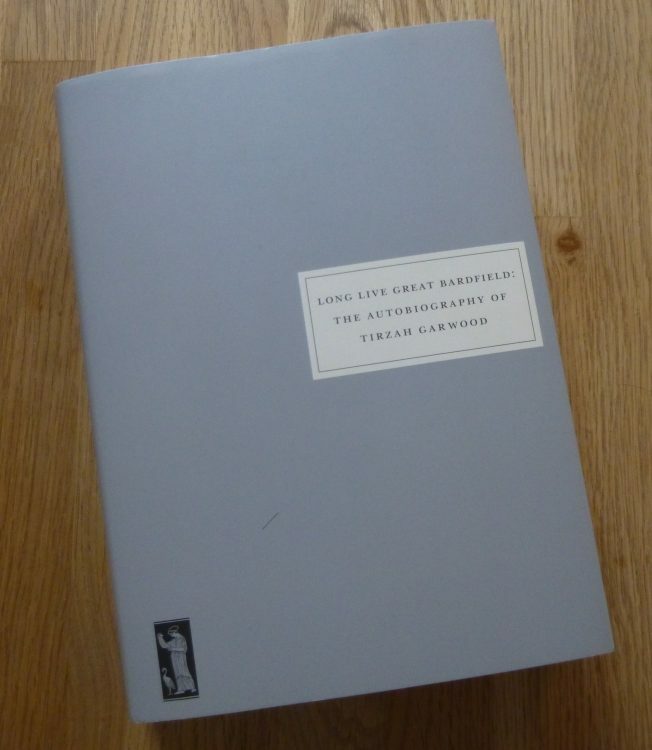 Long Live Great Bardfield was a really fascinating read, and in many places very funny. Tirzah starts at the very beginning, with her parents marriage, and goes through her childhood and adolescence in a charmingly random way, picking out things that she remembered vividly. In some ways the first part of this book reminded me of Gwen Raverat’s Period Piece – a favourite book of mine – in her account of her childhood, but Tirzah continues into adulthood, marriage and motherhood. She writes about her difficulties deciding who to marry: Bob Church, who offered conventional security, or Eric Ravilious, who offered freedom and independence. A very telling sentence was, I thought, ‘I think if I’d been left alone I shouldn’t have married either of them.’ Her work as an artist was really important to her, and her wood engravings are striking. Her life with Eric Ravilious could not have been easy. They had little money and Eric fell in love and had affairs with other women within a few years of their wedding. They seemed to constantly entertain and have people to stay, and lived in domestically challenging houses! Inevitably Tirzah’s own career as an artist dwindled, while Eric’s flourished. Tirzah writes about it all with remarkably little resentment! She was writing her autobiography for ‘her descendants’ and her daughter, Anne Ullmann, has edited it and added to it, bringing the story up to the time of Tirzah’s death at the very early age of a fortnight short of 43. The copy I was reading was beautifully produced by Persephone Books, in their trademark elegant grey cover. Although it is a thick book, the excellent binding meant it was easy to read, opening flat with no problem. 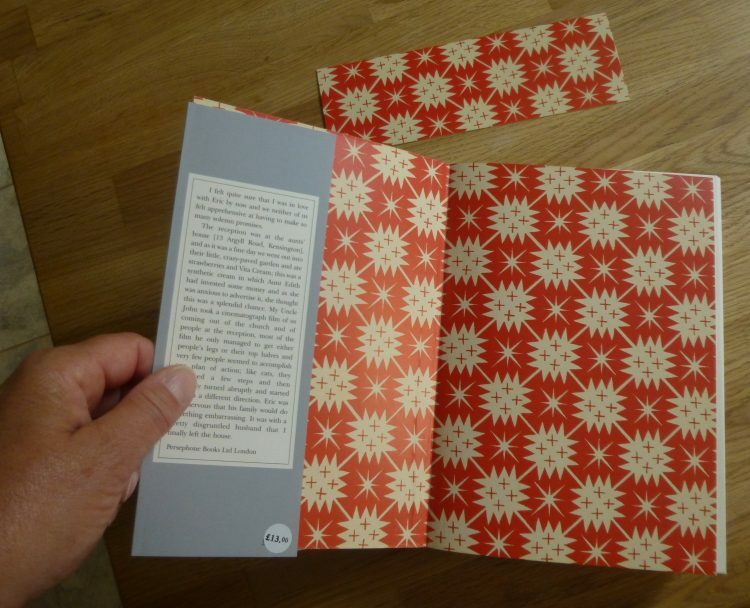 A nice touch is the use of one of Tirzah’s own designs on the end papers and the book mark. If you are interested in the art world between the wars this is a very rewarding read.